Chainsaw Gloves X Large is rated 4.9 out of 5 by 8. Rated 4 out of 5 by Chris R from A decent pair of gloves For once a proper XL size (I have large hands). Flexible right hand (for buttons etc.) Reinfoced left hand for protection. A sensible arrangement for right handed people - not suitable for left handers. 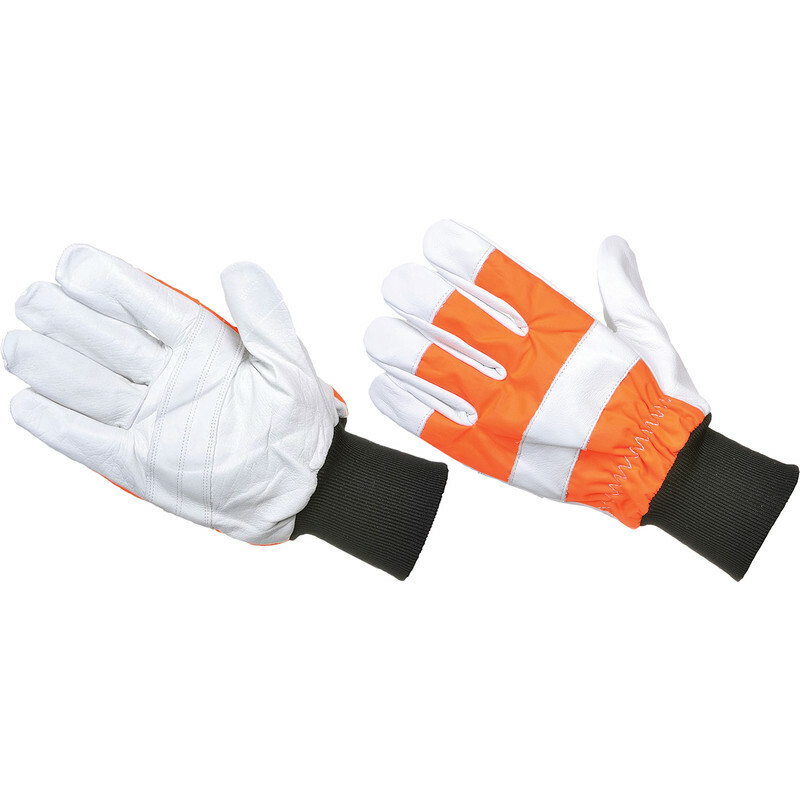 Rated 5 out of 5 by PM42 from Good Chainsaw Gloves These are good value Chainsaw Gloves. There is only extra protection in the left glove but this should be sufficient. Rated 5 out of 5 by unlightened from Repeat purchase Bought again after 6 years usage of old gloves. Same great product, excellent value for mney. Rated 5 out of 5 by grahaml from comfortable - good value I've not used any other chainsaw gloves to compare with but I have used these for several days of chainsawing. Very comfy gloves. Certainly protect from scratches and cuts while moving the chain to sharpen or adjust. Rated 5 out of 5 by Handyman AL from Oak gloves great value Bought these gloves to replace my worn out ones. Glad I did, fit and comfort are excellent. Rated 5 out of 5 by rocket from superb service and delivery,absolutely brill Can not fault the speed of delivery and tracking info....well done Tool station.